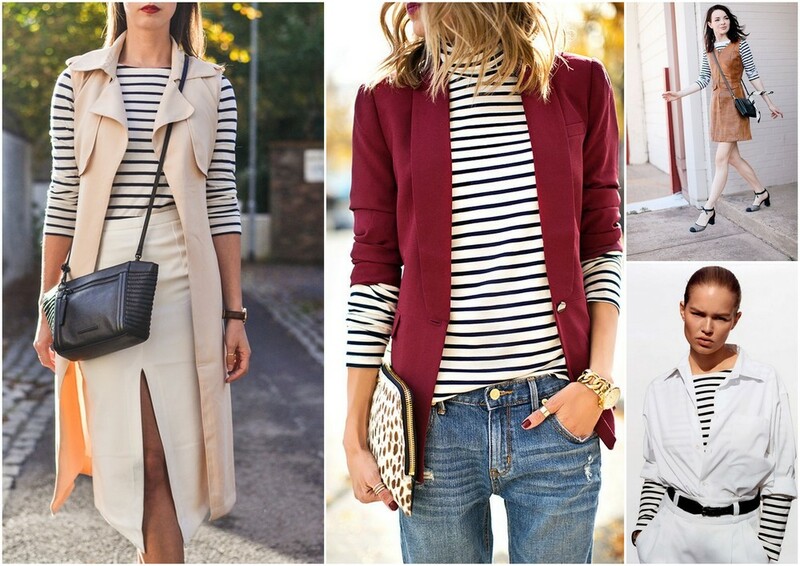 Today I have for you a little style inspiration on how to style a classic BRETON TOP. 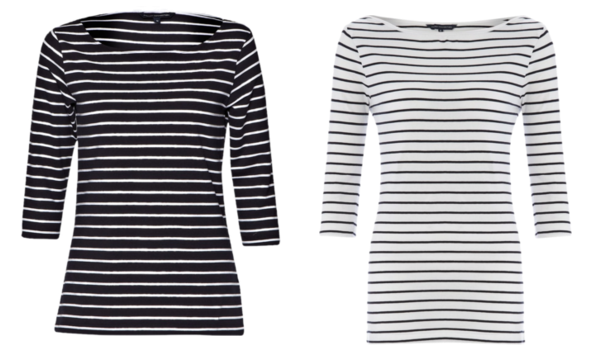 A Breton Top will look great when worn with a midi skirt and a statement colourful necklace or a scarf. Geometric lines look great when combined with rounded shapes, eg think flower print scarf and stripes. Why not combine it with leopard print accessories to add this extra fun and quirky edge or larger scaled stripes. For the purpose of layering under jackets, ponchos, knitwear, blazers, waistcoats and tucking into midi skirts, I found the above Slash Neck Top just Perfect! 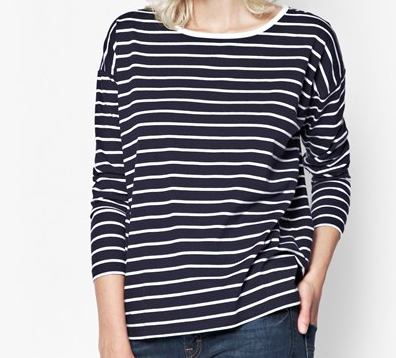 It is super comfy and flattering and you can buy it for £25 in French Connection. 3/4 sleeves are the best sleeve length for everyone! Elongating your arms, slimming down your upper arms if you want to and giving you an illusion of a waist too! So easy to tuck into skirts, layer under sleeveless dresses and knitwear. If you prefer a bit more loose / slouchy edge to wear effortlessly with khaki pants/ jeans or tube clingy midi skirts check out this one (French Connection, £30). 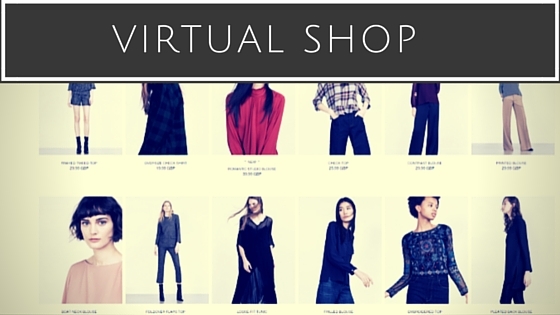 My VIRTUAL SHOP & STYLE ADVICE may be just perfect to give you more ideas on what to buy online and where so that you make the most of your cute body and style and showcase your gorgeous self to the world. Please share with your friends, other ladies who want to embrace what's best in them through Style!